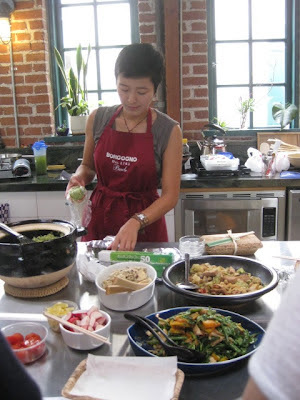 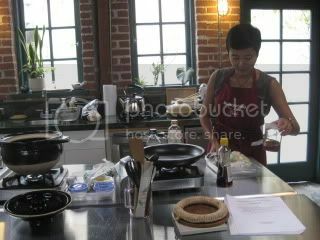 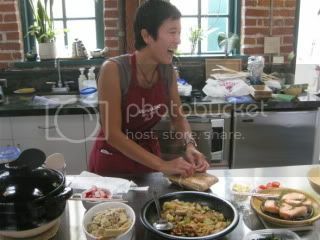 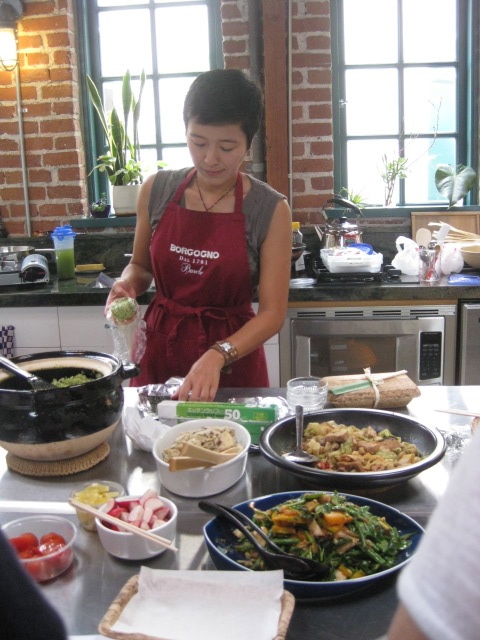 A few days before I was leaving for Tokyo, we had another fun donabe cooking class at Tortoise General Store in Venice. 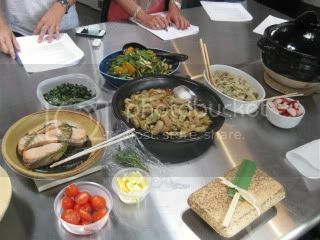 The theme was “Summer Bento” with Donabe Dishes. 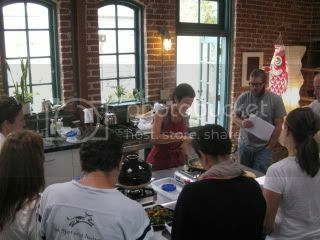 I was very excited to host this event for the enthusiastic 8 participants. 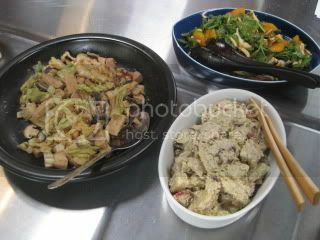 We prepared different donabe dishes one by one. 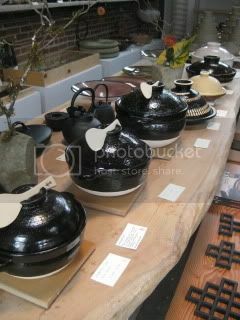 Everybody made his/her own “onigiri” rice balls and packed bento box with those donabe-made dishes. 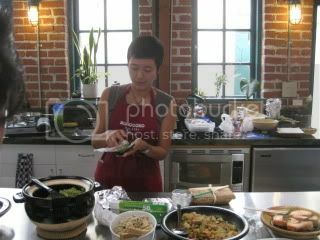 Even though we were all having the same menu, the way each person made onigiri and packed/decorated bento box was original and different. 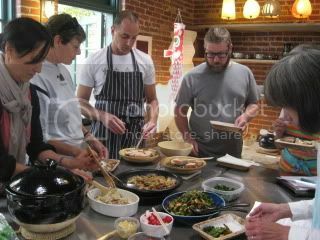 Everybody was having fun at it and being a “bento artist”! 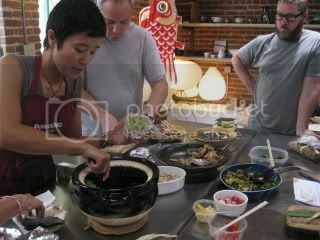 Many of them have never made Japanese-style bento or made onigiri before, but they were all doing brilliant jobs. 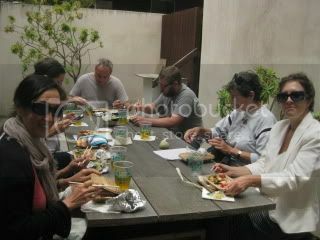 Bento picnic lunch time…our bento didn’t travel very long distance, because the patio was just outside of the kitchen studio!